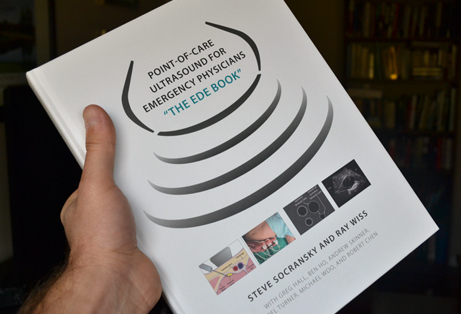 The Emergency Department Echo ("EDE") 2 Course is an advanced point-of-care ultrasound course that will take the seasoned practitioner to the next level. 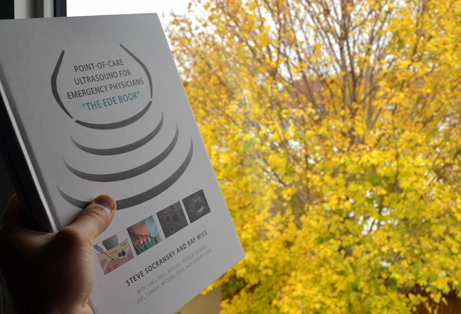 EDE 2 has been created by a team of over a dozen editors, authors, and translators from across the country. Although it brings you new indications, EDE 2 retains the principles of the original EDE course: sticking to the essentials, an emphasis on learning image generation, and the straightforward and safe incorporation of EDE into clinical practice. This open/public EDE 2 Course will be held in conjunction with the Emergency Medicine Update (North York) Conference held at the Royal York Hotel. The conference website is www.emupdate.ca. This course will be held on Monday, April 29, 2018 and take place at Michael Garron Hospital. Transportation will be made available to and from the conference hotel and the course site. The course is now offered under the new format. EDE 2 is still a 2-day course. But “Day 1” consists of completing online modules which can be done at a time and place of your choosing in the weeks prior to the course. The modules are cutting-edge and very interactive. The live part of the course lasts 1 day (“Day 2”) and consists mostly of scanning sessions, with mini-lectures to remind participants how to perform the various scans. 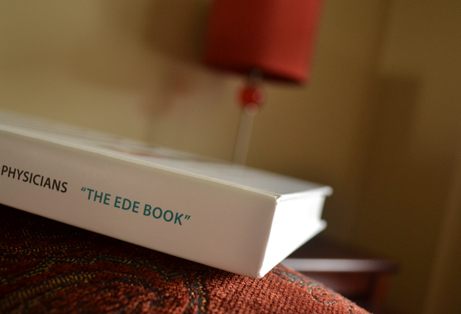 The EDE Book combines the course manuals of EDE and EDE 2. You can choose the print book or e-book. You will have the option of buying the print book when you register for the course. If you prefer the e-book, you will need to buy it on your own on iBooks. It costs about $20. But please note that the e-book is only available for iPads and Mac computers with iBooks installed. If the course is full, you can get on the waitlist for this April 29th course, as well as the course taking place on April 30th. EMU attendees will receive a $100 rebate cheque at the course. You'll need to sign in to register for this course. This open/public EDE 2 Course will be held in conjunction with the Emergency Medicine Update (North York) Conference held at the Royal York Hotel. The conference website is www.emupdate.ca. This course will be held on Tuesday, April 30, 2018 and take place at Michael Garron Hospital. Transportation will be made available to and from the conference hotel and the course site. The course is now offered under the new format. EDE 2 is still a 2-day course. But “Day 1” consists of completing online modules which can be done at a time and place of your choosing in the weeks prior to the course. The modules are cutting-edge and very interactive. The live part of the course lasts 1 day (“Day 2”) and consists mostly of scanning sessions, with mini-lectures to remind participants how to perform the various scans. 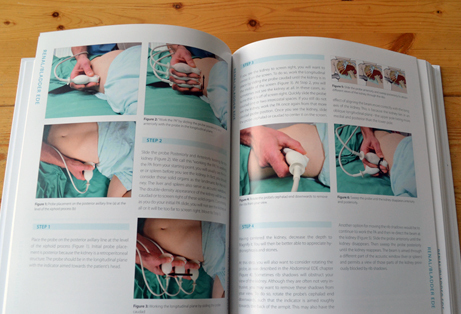 The EDE Book combines the course manuals of EDE and EDE 2. You can choose the print book or e-book. You will have the option of buying the print book when you register for the course. If you prefer the e-book, you will need to buy it on your own on iBooks. It costs about $20. But please note that the e-book is only available for iPads and Mac computers with iBooks installed. If the course is full, you can get on the waitlist for this April 30th course, as well as the course taking place on April 29th. EMU attendees will receive a $100 rebate cheque at the course. This is not an EDE 2 course. It is an CPOCUS Resuscitation Track Workshop being held in Nanaimo by Dr Chuck Wurster and the Island POCUS team. Participants are being provided access to the EDE 2 modules for this event via the EDE 2 website. All other related Workshop info is via www.islandpocus.ca. This is not an EDE 2 course. It is an CPOCUS Resuscitation Track Bootcamp being held in Sudbury by Nickel POCUS Bootcamps. Participants are being provided access to the EDE 2 modules for this event via the EDE 2 website. If you need more info, please send an email to nickelpocusbootcamps@gmail.com. The location is NOT Sudbury Regional Hospital as listed here. Location info will be emailed to participants. Le cours est maintenant offert le nouveau format. Le cours est toujours un cours qui dure 2 jours. Mais «jour 1» consiste à compléter les modules en ligne. Les modules sont à l’avant-garde et très interactifs. La partie en direct du cours dure 1 jour ("Jour 2"). Jour 2 est principalement consacré à des ateliers, avec des mini-présentations pour rappeler aux participants comment effectuer les ÉDU. Le livre ÉDU réunit les manuels des cours ÉDU et ÉDU 2. Vous pouvez choisir le livre imprimé ou le livre numérique. Vous aurez l’option d’acheter le livre imprimé lorsque vous vous inscrivez pour le cours. Si vous préférez le livre numérique, il peut être acheté au iBooks. Le livre numérique coûte environ 20 $, mais s'il vous plaît noter qu'il est uniquement disponible pour iPad ou pour les ordinateurs Mac avec iBooks installé. This is our annual open/public course being held in Vancouver at Lions Gate Hospital. The course is now offered under the new format. EDE 2 is still a 2-day course. But “Day 1” consists of completing online modules which can be done at a time and place of your choosing in the weeks prior to the course. The modules are cutting-edge and very interactive. The live part of the course lasts 1 day (“Day 2”) and consists mostly of scanning sessions, with mini-lectures to remind participants how to perform the various scans. 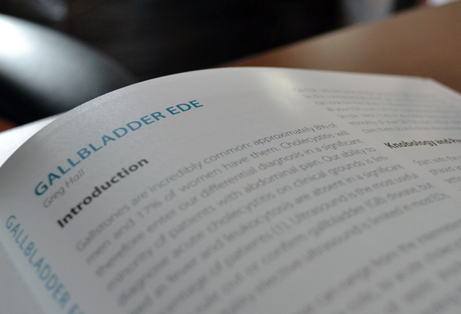 The EDE Book combines the course manuals of EDE and EDE 2. You can choose the print book or e-book. 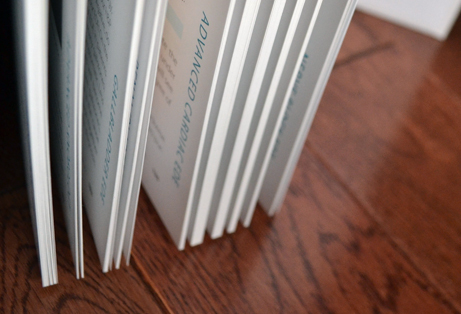 You will have the option of buying the print book when you pay for the course. If you prefer the e-book, you will need to buy it on your own on iBooks. It costs about $20. But please note that the e-book is only available for iPads and Mac computers with iBooks installed. Note: EDE 1 is being held on Tuesday, September 24. If you are interested in signing up for EDE 1, please go to www.edecourse.com. 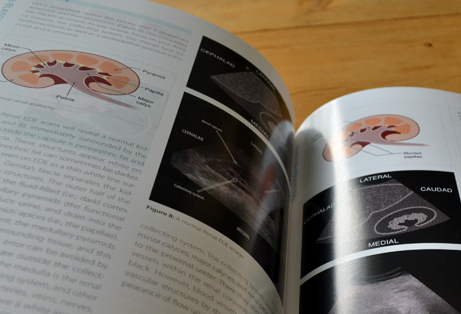 This "how-to" guide book contains over 700 illustrations, photos, and ultrasound images which show you how to perform the scan and how to recognize positive and negative images. 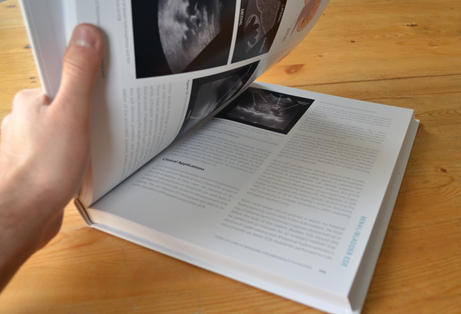 As well, the book focuses on how you can incorporate these images into your clinical decision-making. Copyright © 2012-2018, PENSIVO Inc. and it's licensors. All rights reserved.